When you invest in St Simons real estate for sale, whether for a week-long vacation or a permanent home, there are plenty of activities to keep the entire family entertained, but it is a special place that fishermen particularly enjoy for its many opportunities. Any person who likes to fish knows going out on the open ocean is a special experience and one many St Simons real estate owners love. Not only do you get to see all kinds of wildlife such as dolphins and sharks, but you never know what you’re going to pull in. If you’re ready to hit the open seas, there are many opportunities for chartering a boat to take you out and see if you’re ready to catch the big one, so be ready, and don’t forget the camera! A day on the sea is a special treat, but an avid fisherman wants to have that pole in his hand every day. The waterways and marshlands around St. Simon’s Island provide a unique opportunity for anglers to get out and try their hand at catching something new. Grab your pole and a kayak and enjoy some quiet time out in the marshes, or take a motorboat out from one of the marinas. Rivers and tidal creeks are perfect to try your hand at fly fishing, or if you like to keep it simple just drop a line off the pier. In every fisherman’s family, there are those that aren’t quite as obsessed with the sport, and like to have other options for activities. Luckily, at St. Simon’s Island there is plenty to keep the whole family entertained. As you can see, when considering St. Simon real estate for sale, this community has plenty to offer, and day trips provide even more places to explore. 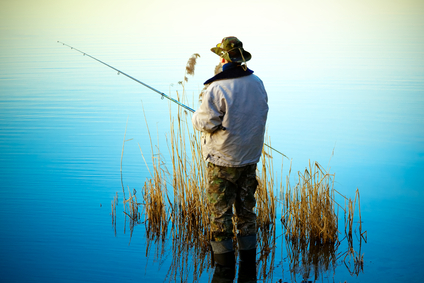 Whether fishing is your thing, or some other activity catches your eye, invest in a permanent home and you’ll never be bored. If you’re ready to investigate St. Simon’s real estate for sale, contact the local St Simons property experts, DeLoach Sotheby’s International Realty today. We look forward to helping you locate your ideal home.